A hospital, fire station, post office and more are part of this city-themed children's rug from Learning Carpets! 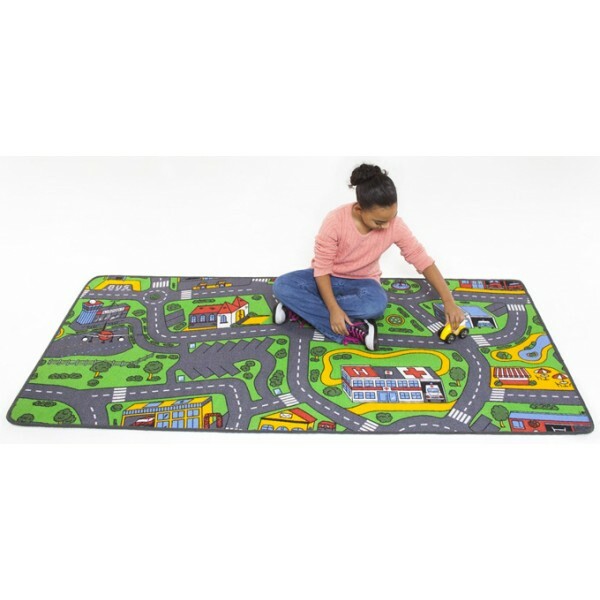 This carpet features numerous roads that travel through this fun, playful place, perfect for use with your child's own toy cars, trucks and more. The rug is durable enough for both indoor and outdoor use and has a skid-proof backing. For some vehicles to drive around your new city, visit our Vehicle Toys Collection.